The Council of Yukon First Nations receives direction on an annual basis from the General Assembly, which meets usually for a period of three days during the summer months. It is hosted by one of the First Nations at a location on the land. The General Assembly, the overall governing body of the organization, is made up of delegations representing each of the 14 member First Nations. There are usually five people chosen by each First Nation from their own executive and membership, these usually being the Chief, two council members, an elder, and a youth. Together with the Grand Chief of the CYFN, these delegates have the right to conduct business at the General Assembly and to cast votes as necessary. Any changes to the CYFN constitution are done by the General Assembly. The General Assembly also receives reports from each of the departments at CYFN. The General Assembly sets the overall political direction for the organization for the coming year. 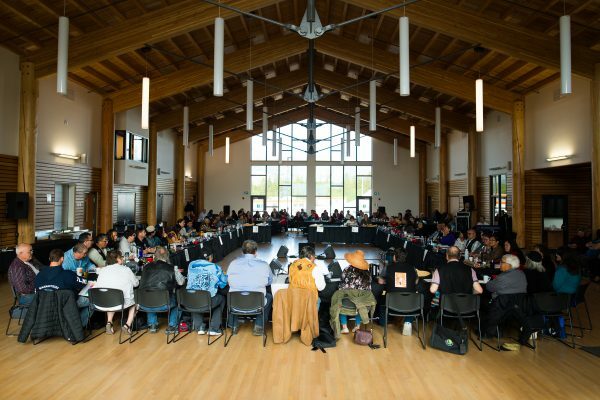 The 2017 CYFN General Assembly was hosted on June 27-29, 2017 in the new the new Learning Centre located in Carcross, Yukon.